After 18 years in the NFL, Charles Woodson has decided to hang up his cleats for good at the conclusion of the 2015 season. 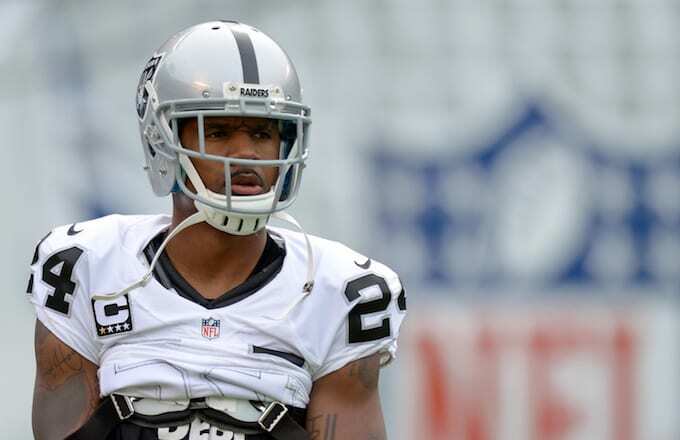 Woodson made the announcement on Monday, just a few days before playing in what will now be his last game in the O.co Coliseum on Christmas Eve. "It&apos;s important to let Raider Nation know now," he said. At 39 years old, Woodson has lost a step, but you couldn&apos;t tell this year, putting up over 50 tackles and coming in second in the league in takeaways (8). Woodson has also shown his Oakland Raiders teammates this season what it means to be the epitome of toughness, playing in 81 of 82 snaps just one week after dislocating his right shoulder in the season opener. Congratulations on an amazing career, Charles.